My obsession with redwoods means I'm constantly dreaming of the forests in the northern most part of California. Last January, I visited Humboldt for the first time on a solo road trip to explore to my heart's content. Heavy rains prevented me from fully experiencing Prairie Creek Redwood State Park's famous Fern Canyon, but I got another chance over this 4th of July holiday weekend. A group road trip to visit a mutual friend meant that I could play redwood park tour guide. 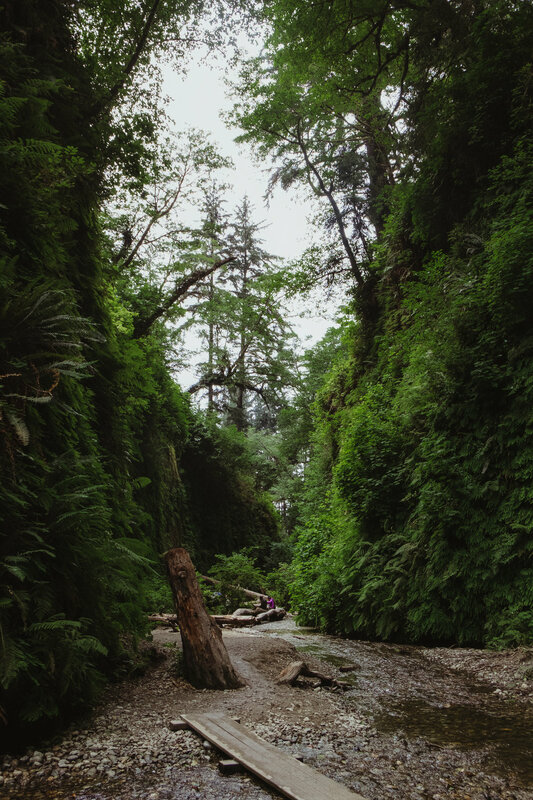 Fern Canyon was on the top of the list to revisit and it did not disappoint. From the drive down to the trailhead to the scrambling over logs up Home Creek, lush greens filled my eyes and the smell of fresh soil and moss hung in the air. It truly was a magical place.